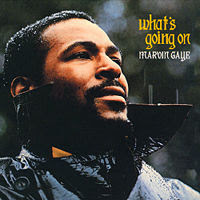 It seem that the death of Marvin Gaye is the most shocking moment in Black music. Following a distant second was the deaths of Aaliyah and Lisa "Left Eye" Lopes. Pulling up the rear was the deaths of Tupac and the Notorious B.I.G. Someone responded to the "Most Shocking" post last week, admitting that they did not know that Marvin Gaye had been murdered by his father. Follow this link to read more about what supposedly happened on that fateful day. Here is a brief synopsis according to friends and relatives of the deceased. On the night of March 31, 1984, Marvin Sr. was angered because he was unable to find a document concerning an insurance policy. He stormed around the house and yelled at Alberta, whom he blamed for losing the document. He was still angry when he awoke the next morning, Sunday, April 1, the day before Marvin Jr.'s 45th birthday. At about 11 a.m., Marvin Sr. hollered up the stairs at his wife, who was in Marvin Jr.'s bedroom. The son went to the top of the stairs and hollered back that he should speak to Alberta's face if he had something to say. The father hurried up the steps and entered his son's room. Marvin Jr. leaped up off the bed and pushed his 70-year-old father out into the hallway, knocking him down and kicking him. Alberta interceded and the men separated. Marvin Jr. returned to his bed. The father got up and went down the hall to his own bedroom. After a few moments, he returned to Marvin Jr.'s threshold. He raised a hand toward his son, and Alberta could see he was holding the .38 pistol Marvin Jr. had given him. He pulled the trigger, and shot his son in the chest, tearing through his heart. As Marvin Jr. slumped off the bed to the floor, his father strode forward and fired again. The second shot was unnecessary. Marvin's brother Frankie ran to the sounds of the shots, his wife Irene called 911. Paramedics arrived to find Marvin Sr. sitting on the front porch. They demanded to see the gun before they would enter the house. Irene found it under Marvin Sr.'s pillow and threw it on the lawn. Gaye was rushed to California Hospital. Resuscitation efforts were in vain. He was declared dead at 1:01 p.m. I'd been working all day, and my car radio had gone out. So I didn't hear about Marvin's passing until my girlfriend told me. Given the date, I thought she might have been joking. How I wish she were. And then, on April 2, 1984, I didn't hear much in terms of Marvin's music on the radio. But there were an awful lot of DJs making Marvin Gaye jokes. I guess that's what I get for living in rural Wisconsin. That's horrible! The part about the jokes and that you were living in rural Wisconsin. I was still a Michigan resident at the time so as you can well guess it was a very big deal. 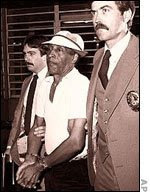 Many around Marvin at the time say he was on a suicide mission when he hit his father because that was something you did not do in the Black community at the time. I read a piece by J. Randy Taraborrelli almost immediately after it happened. He seemed to lean toward the "itching for a suicide" theory as well. At he same time, he's made sort of a cottage industry of writing sensationalistic unauthorized biographies of a number of people connected to Motown, and many of the people in his books dispute their accuracy. Berry Gordy wouldn't cooperate with him on one Motown book, and for some reason, Taraborrelli expressed surprise about that on an NPR interview. I read Taraborrelli's book on Diana Ross many years ago. I heard the suicide theory from interviews by Marvin's two sister's and Mary Wilson, formerly of the Supremes. You know, your post brought all the sadness back. I was working in a night club in Toronto at the time. So many of us just made it through our shifts like sleep walkers...it was all we talked about in between serving people. It was a dance club and after we closed we the dj played some of his music for us. It seemed like someone was making a story up...it couldn't really happen. Your thoughtful post also made me think of Sam Cooke. It was very shocking, mostly because the public had no idea the relationship between him and his father was so volatile. People in his inner circle weren't that shocked at all. Thanks for your comments. Former Bad Boy Displays Bad Behavior? Jessie Jackson Calls for Obama's Balls!